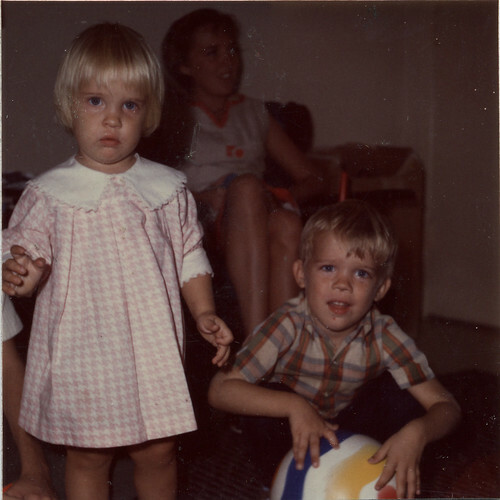 My sister at 2 and me at 4, 1968. Photo © 1968, 2013, S. Bryant. I was four years old for part of 1968! We are approximately the same age! My brother had exactly that haircut and possibly that exact shirt, I have photos (somewhere) to prove it.